Supplements containing Amino Acids are widely used as part of the treatment of a number of medical conditions, including ALS, some brain conditions caused by liver disease, muscle degeneration and movement disorders. Amino Acids supplements are also used by athletes to improve performance and prevent muscle breakdown. These supplements are available in variety of forms and dosages, and they often contain other ingredients like vitamins, minerals, herbal extracts and flavorings. Manufacturers are responsible for supporting label claims. The testing of dietary ingredients as well as finished products for active components is an important part of any quality assurance program. 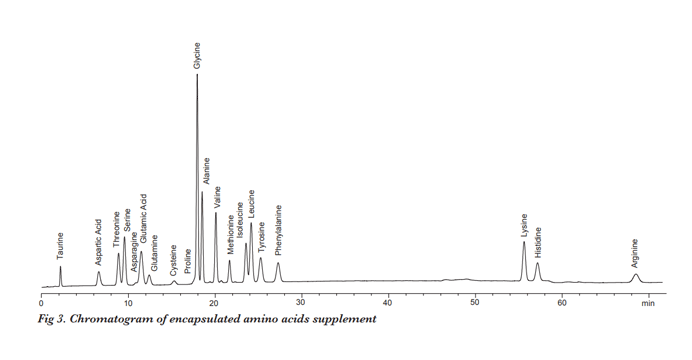 Analysis of amino acids using cation-exchange columns and Ninhydrin post-column reagent is well-establish methodology that is recommended by European Pharmacopeia. 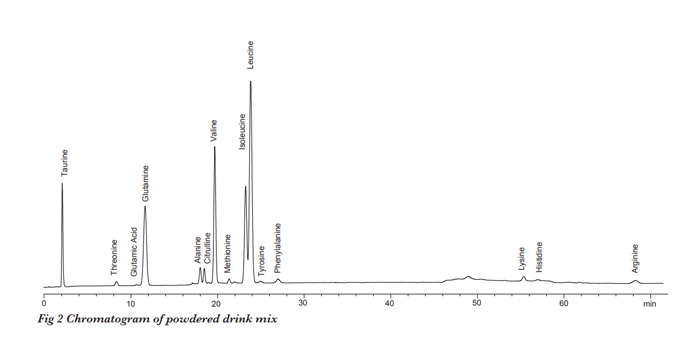 Pickering Laboratories developed and validated a post-column method for amino acids analysis of supplements that is sensitive, selective and can be used without modifications to analyze capsules, tablets, drinks and other samples. 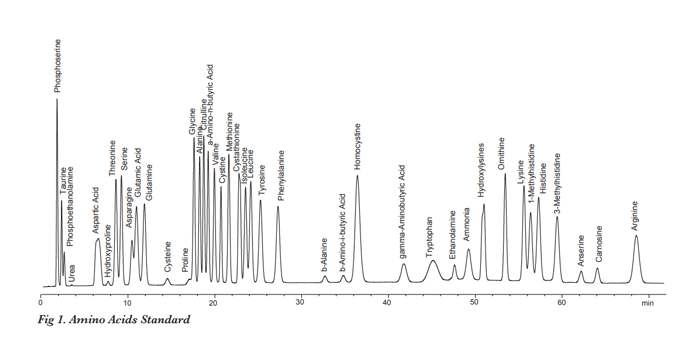 Accelerated methods are available for samples with a limited number of amino acids. Place 100 mg of homogenized sample into a 25 mL volumetric flask. Bring to volume with Li220 Diluent. Sonicate for 30 min and filter through a glass microfiber filter if the solution is cloudy. Dilute the sample to fit within calibration curve as necessary. More than one dilution may be needed if concentrations of amino acids differ by more than 10 times. Filter the final solution though 0.45 um Nylon filter before injecting.